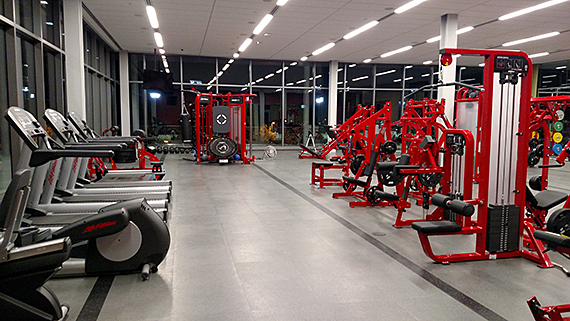 Watch the Center for Health and Human Performance video. 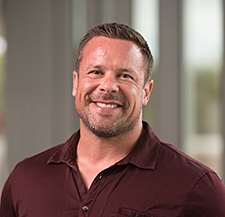 Kinesiology has become an increasingly valued discipline within the medical community and health sciences. 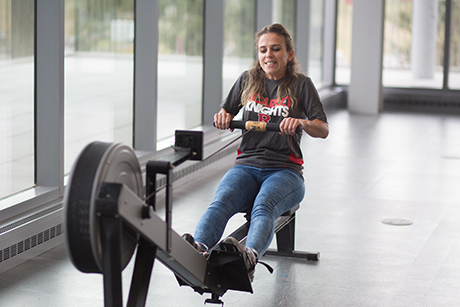 Given the trends in heart disease, hypertension, obesity (both adolescent and adult), type II diabetes, cancer, and other chronic diseases, the role of physical activity in the prevention and treatment of these conditions has received considerable attention and support. 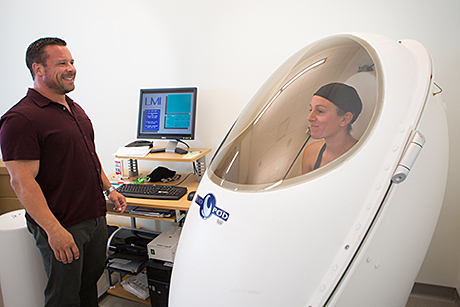 Sport Science has also continued to garner attention and be recognized for its contributions to the health and performance of athletes, emergency personnel (i.e., police, firefighters), military personnel, and special populations of all ages. 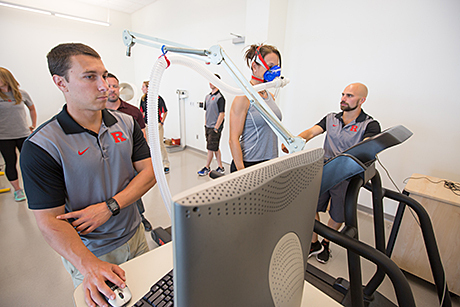 The inherent interdisciplinary nature of Kinesiology facilitates its interactions with other core areas and centers of the IFNH as well as with outstanding current and future faculty across multiple disciplines at Rutgers. This will only serve to bolster the translational goals of the Institute. 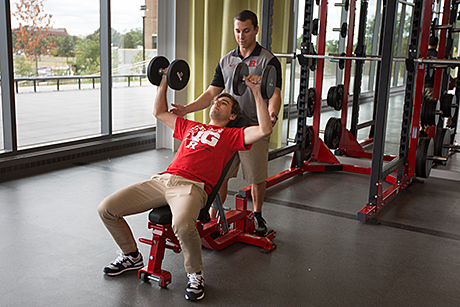 The Center for Health & Human Performance (CHHP) represents an ideal environment to facilitate cutting-edge research and educational models that will put Rutgers at the forefront of the area of health, human performance, and sport nutrition while further demonstrating the remarkable overlap between science, academics, athletics, and outreach. 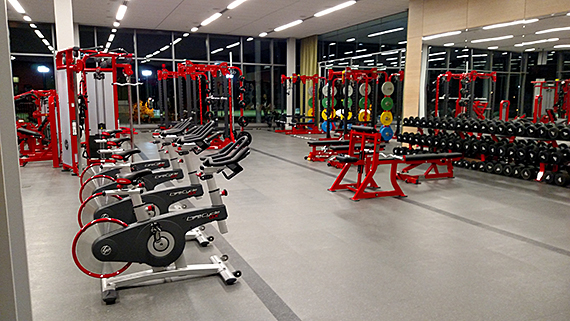 The state-of-the-art testing and intervention facilities as part of the CHHP will provide the ability to train and test various populations, including, but not limited to, youth, college, and elite athletes, military personnel, police, firefighters, children, elderly, and those who are overweight or obese. An emphasis will be placed on an integration of sport and health in order to influence public policy and mitigate various disease states. 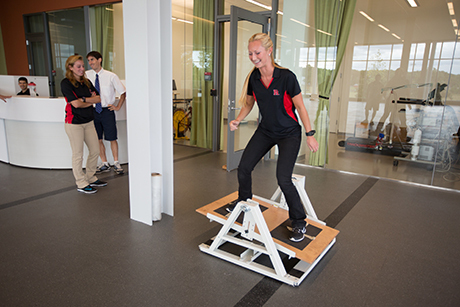 The CHHP will become a center of excellence at Rutgers that re-defines performance and health at the interface of physical activity and nutrition, with an emphasis on serving the needs of New Jersey. 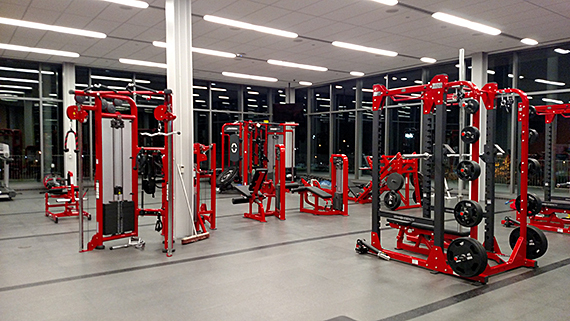 The CHHP represents the next generation of human performance centers rather than simply the current standard. Women&apos;s Health writes about proper core exercises, quoting Michelle Arent (Center for Health and Human Performance). Shawn Arent (SAS) tells Business Insider what it really means to be "in shape." Shawn Arent (SAS) demonstrates the proper way to do a burpee for Business Insider.